﻿ Want to Purchase a Whole Line for Soya Bean Oil Production? The soya bean oil production is complicated process. 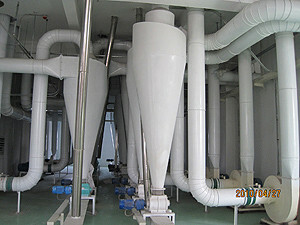 The whole production line for soya bean oil strats form soya bean seeds processing, The soybeans are first cleaned, dried and dehulled prior to oil extraction. In order to get soya bean oil from soya bean seed, the soya beans are cracked, adjusted for moisture content, heated to between 60 and 88ºC (140-190°F), rolled into flakes, and solvent-extracted with hexanes. The extracted oil is usually called "crude oil" which contains a lot of impurities that need to be refined, blended for different applications, and sometimes hydrogenated. Soybean oils, both liquid and partially hydrogenated are sold as "vegetable oil," or are ingredients in a wide variety of processed foods. 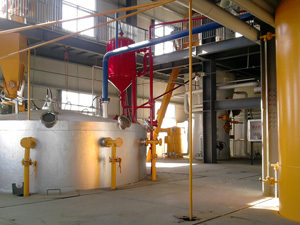 Most of the remaining residue (soybean meal) is used as animal feed. 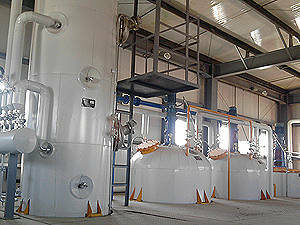 Below are some of the pictures of soya bean oil production worshop. 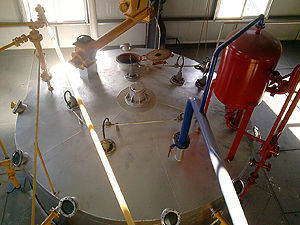 Soybean oil is a vegetable oil extracted from the seeds of the soybean. It is one of the most widely consumed cooking oils. 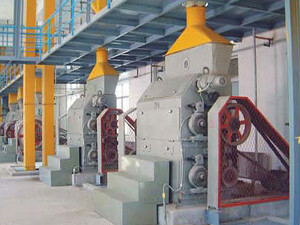 As a drying oil, processed soybean oil is also used as a base for printing inks (soy ink) and oil paints. It is also converted to cooking oils. 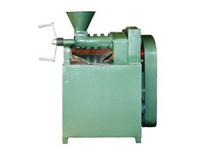 Welcome to contact us anytime you are interested in soya bean oil production or you want to set up a whole production line for soya bean oil. 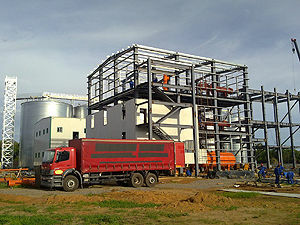 We also offer small scale oil production plant for varous oil seeds and nuts, please email us, we willl always at your service!